Author: Abhishek Kini , Sachin Tapasvi . 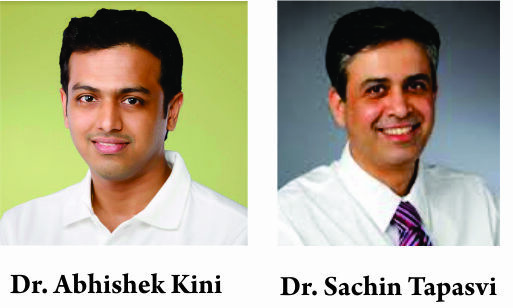 Department of Orthopaedics, P.D.Hinduja Hospital& Medical Research Centre, Mumbai, India. One of the best paradoxes in medicine is the need to be stubborn and open-minded. A good doctor must insist on sticking to the vision and stay on course to achieve his treatment goal. But he must be open-minded during the process to newer technologies and advances. One should always look to add a few threads to their existing surgical skills. Foot and ankle arthroscopy is one such thread in modern medicine. It has made significant progress over the last 25 years. Small arthroscopes and instrumentation have been developed to work in tighter spaces, to facilitate small joint surgery. The technique started to gain acceptance in the sports medicine and arthroscopy world more so in the last decade. These advances have allowed for shorter hospital stays and a shift toward more outpatient procedures, which can lower the rate of complications and decrease the overall cost of care. While the aforementioned trends are exciting for patients and surgeons alike, novel technologies must undergo thorough scientific analysis so that we can offer unbiased options to our patients. With this in mind, we must continue to push the envelope and develop more arthroscopic techniques in the foot and ankle that benefit our patients and return them back to work and sports more quickly and efficiently. more basic knowledge of arthroscopic techniques. It is surprising that ankle arthroscopy is not emphasized in current residency curriculum. The learning curve for ankle arthroscopy is far more rapid than for arthroscopies of the shoulder and the hip. Minimal time investment to develop this skill-set is genuinely worthwhile. However any new technique or methods should be used in proper indication. “Just because we have a hammer, the world doesn’t become our nail”. Judicious use of the technique and technology is essential for positive growth of any technology. However, once we are sure that new techniques are safe and effective, can we trade in that hammer for an arthroscope? This issue has contributions from With this issue, we have invited stalwarts in the field of foot and ankle arthroscopy from around the world. It starts with a basic introduction to anterior ankle arthoscopy, followed by modern concepts in posterior ankle arthroscopy. Further, advanced techniques like the arthroscopic management of osteochondral lesions of talus, lateral ankle ligament instabilities, plantar fasciitis and tendon pathologies have been written in a simplified manner. Finally, a review article on foot and ankle arthroscopy, summing up with current updates, indications and techniques completes this issue. This issue. You may add valuable knowledge about foot and ankle arthroscopy to your toolbox, and some of the ideas and results presented will definitely help in decision making for your patients. As usual your feedback is very important to us and we would love to hear from you about this issue and about the Journal as a whole. As mentioned in the Editorial, the forthcoming issues have some major changes added to the journal format and we take this opportunity to invite you to contribute to Asian Journal of Arthroscopy.